W ith every passing year, the release of FIFA feels more and more like an event. Soccer’s real-life stars line up to talk about their in-game rating, to inspect their FUT cards and to emphasize their love of the brand. All the time, the line is being blurred between the sport we enact on our screens, and the real sport itself. 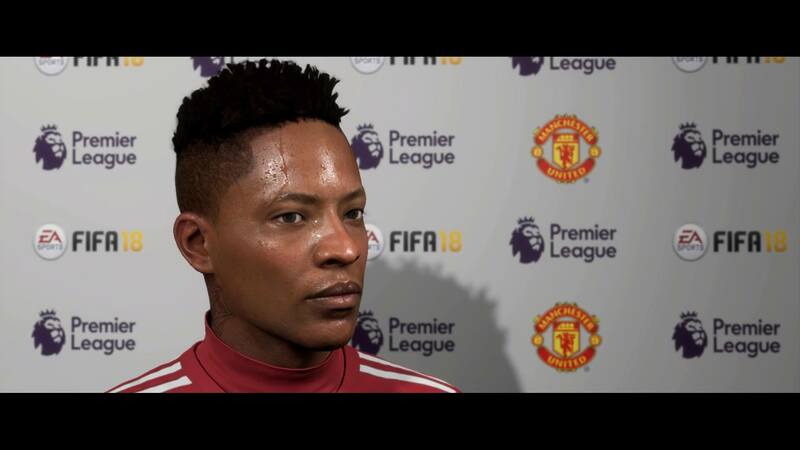 In FIFA 18, that’s never more evident than in the return of The Journey, the story of eighteen-year-old sensation Alex Hunter, now in his second season of professional football. Over the course of six chapters, EA unrolls the red carpet for its famous supporting cast who are faithfully motion-captured for their starring bow. From Ronaldo to Muller to Griezmann and a certain Gunners legend, the A-listers join Alex on a globetrotting adventure that feels like a big high-five to soccer itself. Using the Frostbite engine for its sophomore year, EA is clearly confident that they’ve got the technology to flex their storytelling clout. Cutscenes strafe the edges of the pitch like something out of the Goal! movies, swanky after-parties zoom in on a star-struck Alex, and press conferences and player presentations give you a taste of the good life he is leading. 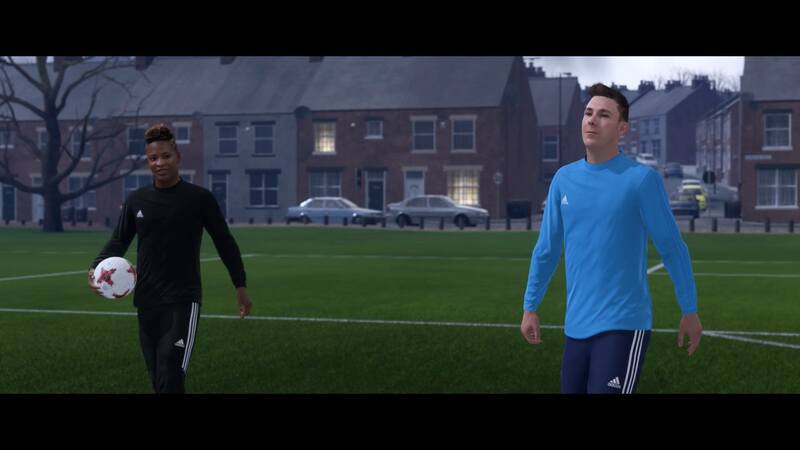 EA has had fun blurring the line in other ways too, and a mock Twitter feed references ex-players like Alan Shearer and Andy Cole, and even the UK Daily Mail journalist Ian Ladyman. All told, it’s an impressive production that runs well over ten hours and features key timed decisions that have irreversible effects. Alex gets the bulk of the screen-time, but EA isn’t afraid to pull a few surprises and even introduce playable characters when you least expect it. Midway, an overly soppy domestic dispute threatens to rob The Journey of its footballing focus, but taken as a whole, the story is great fun. It’s also suitably bigger than last year, and by rights, it’s got more to do. You can now switch up Alex’s hair, give him new clothes and get him inked. Later on, you get to choose a big-name striking partner that you must build a rapport with on the pitch, accompanied by some fun 1v1 challenge games that lend a competitive edge. It’s unlikely you’ll hanker to play The Journey more than once, but as a solitary mode in a game full of different modes, it’s a staggering achievement and made all the better by FIFA‘s new and improved visuals. Honestly, it’s hard to overstate what a visual leap forward FIFA 18 represents, and this translates into the game proper. A mo-capped Ronaldo skips forward in his inimitable style and hits a free-kick with a knuckleball technique eerily and impressively similar to real life. Arjen Robben twinkle-toes forward on the flank, left wrist flapping. Neymar has a nest of frosted tips and finally looks the part. FIFA has always been good at pushing the technical boundaries but this feels like an evolutionary leap forward and, dare I say it, one step closer to the “uncanny valley”. Several times my flatmates walked past the screen and thought a real match was on the go before realizing otherwise. 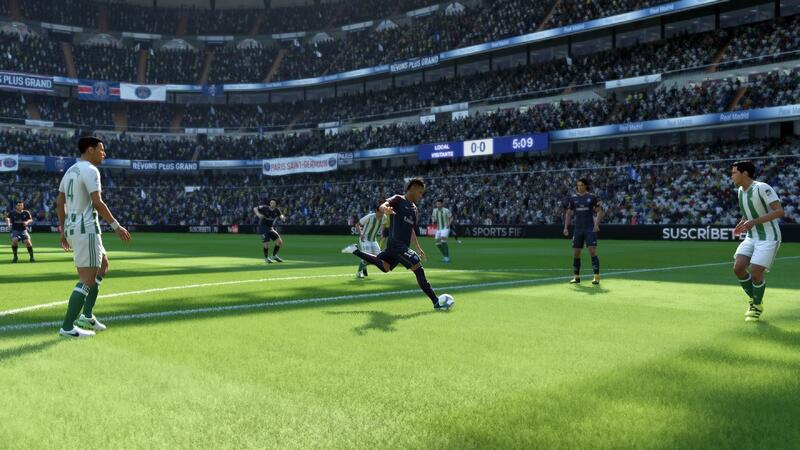 Facial animations and detail are improved, and the presence of sweat is more realistic as the match wears on. Lighting is better, the picture is crisper and subtle motion blur adds a different sheen during goal celebrations. Then there are the small things, like hitting a perfect finesse shot and seeing your player’s back foot curl. By the same token, those end-of-season trophy presentations suddenly look the part, replete with exploding confetti and cheering crowds. In Career mode, the visual improvements have allowed EA to flex even more muscle, letting us in behind the curtain as managers, players, and agents come together to hash out transfer deals during carefully-orchestrated cutscenes. There’s no dialogue during these exchanges but it’s exactly the sort of escapism a soccer fan is after, and even if the novelty wears off, you can delegate transfers to your second-in-command. The other major visual improvement concerns the crowd. No longer blurry cardboard cutouts, the faces in the stands actually resemble real people, while the stadiums are as meticulously recreated as ever; flags fly high, chants ripple across the pitch and loudspeakers spark to life asking so-and-so to pick up lost property from ‘gate one’. Cleverly, EA shows restraint. The new and improved crowds don’t feature all that often, but when they do, they add another layer of immersion to an extraordinarily pretty game. So what’s it like to play? I went back to FIFA 17 to compare the two and noticed an immediate difference. Players in 18 move more dynamically. Sometimes they canter at the kick-off, other times they perform a little hop and a skip. They amble, remonstrate realistically when they miss an open goal and contribute to the realistic ebb and flow of a real soccer game. These are not simply floating heads moving around a chess board. FIFA 18 is also more fun. Scoring is a lot easier this time around, not least because crossing has been hugely improved. You can actually put a decent ball into the box and it looks fantastic to boot, full of swerve and curl and menace. Low crosses are initiated with a simple double tap (mirroring the double tap of a low shot), but I’d argue that crossing is perhaps too good. Even on legendary, I was scoring four goals a game and on lower difficulty levels, the ballooning scoreline killed the immersion. On the flipside, you’re going to concede more too. Attacking players make better runs and there always seems to be space on the wing for an opportunistic forward. Tackling is much harder too, and requires a curious combination of timing and luck. I’m not entirely convinced I like the system – and I’d hate to be a defender on 11v11 mode – but if you’re really struggling, you can always blow the cobwebs off Legacy Defending. Corners remain unchanged but penalties have been made easier. This time, a marker shows you where your shot is going. I still don’t like the resulting animation – and this isn’t helped by the fact you can change your starting position once again – but it’ll likely be an area of focus in the inevitable sequel. A clever new addition is the ability to make substitutions without having to resort to the menus. The game will pop up with a suggestion, which you can take advantage of by pressing a button. Alternatively, you can let the game know (before the match even starts) who you might want to yank off. They’re small additions, but when you’re in the middle of a frantic game it’s far better to depress a trigger and hit X than work through the menus. Online, “Seasons” mode returns alongside the ever-popular “FIFA Ultimate Team”. “Seasons” is your bread and butter, but “FUT” is the gourmet dish and is buttressed by a new mode called Squad Battles, that acts as a singleplayer alternative to “FUT Champions”. In “Squad Battles”, you play against community-built squads controlled by AI characters, which is great if you’re pressed for time and don’t have the zeal to compete day in day out. “FUT Icons”, meanwhile, lets you add iconic players (such as Ronaldo) to your squad. Each “Icon” is represented by a card at three separate stages of their career (with a different rating in each card to boot). They’re yet another sweetener in the FUT merry-go-round, and their ratings will be a source of lively debate. In the end, expect FIFA 18 to offer up goals aplenty. After the stodginess of FIFA 17, that’s fine by me. If anything, it’s fitting: this is a celebration of the sport and the excitement it brings; of its celebrity and pageantry. The FIFA brand, with its curated endorsements and recognizable faces, is an indelible part of the football fan’s arsenal and a very real extension of the real game. And heck, if the visuals keep improving at this rate, it won’t be long before we can’t tell the difference between the two. 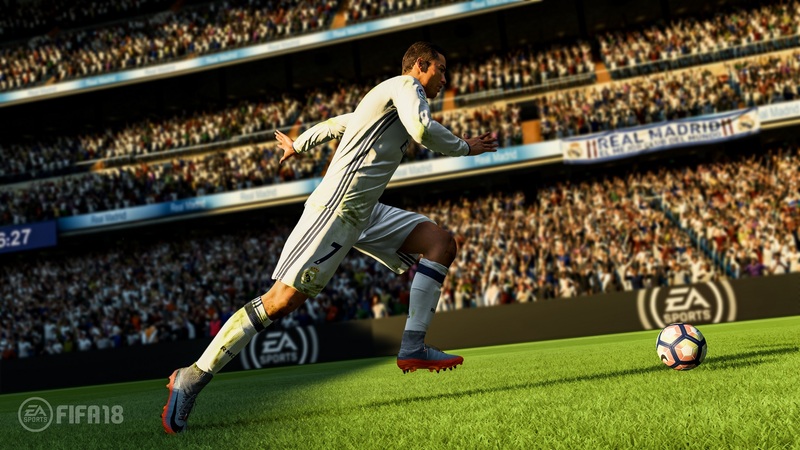 FIFA 18 is a celebration of the sport and the excitement it brings; of its celebrity and pageantry. Why working from home is the new way. Published on We Got This Covered. January 2017.